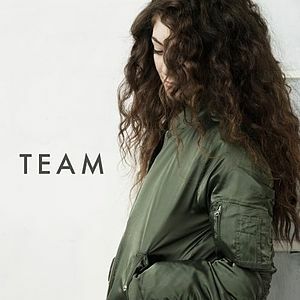 Team lyrics by Lorde - The lyrics to Lorde's songs from Melodrama and Pure Heroine. Team is from Lorde's first album, Pure Heroine. The single release of the song managed to make it to number 6 on the US Billboard chart and number 3 in Lorde's home country of New Zealand. "no one comes to New Zealand, no one knows anything about New Zealand, and here I am, trying to grow up and become a person".